Jovanka Mrdja was a spectacular tour guide. She made the trip as successful as it was for us who traveled with her. 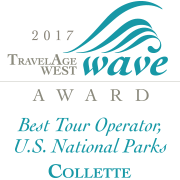 I gave Collette four stars because I would have loved to have had better transportation service from our home in western Massachusetts to the Logan Airport in Boston. Also there was some confusion in the Munich airport about where we were to meet our driver + tour guide, but clearer instructions in the pre-travel packet that Collette provides would have prevented the mix-up. 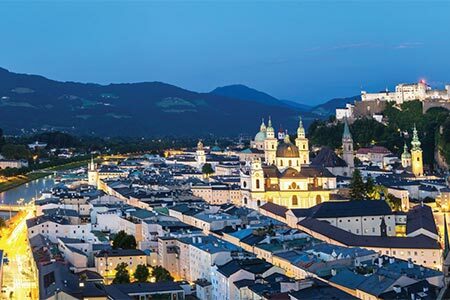 My most memorable experience was the day we spent in Salzburg, Austria. 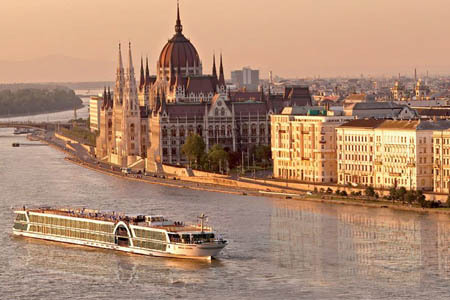 Knowledge of tour guide, centrally located hotel, clean tour buses, great bus drivers, wonderful excursions. Horse drawn carriage ride in Selfeld! I would of preferred a hotel with more local charm. I felt like i could of been next to any college campus in the US. Collette had every detail covered. Nothing was missed, all was planned well, everything promised happened, much detail of our excursions was relayed to us while traveling to various sights. Tour was very exciting and not just because it was Christmas time. 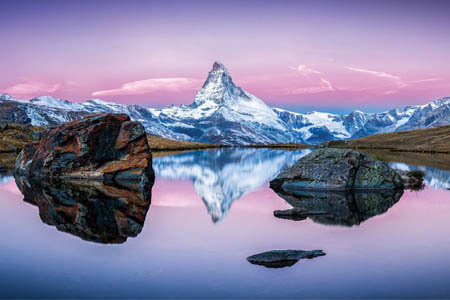 We were in a very beautiful part of Europe with lots of history and the Alps. Collette did a wonderful job of organizing our trip. Everything was taken care of. All we had to do each day was board the bus and away we went. No worries, just fun. Our tour manager, ******, was amazing and took very good care of us. I would recommend Collette to everyone. Hopefully in the next couple of years, we'll be able to join them on another tour. Keep up the wonderful work. The price of the tour was reasonable. The included dinners were first rate and the daily breakfast was very good. Considering all the places we went to, the value was very good. 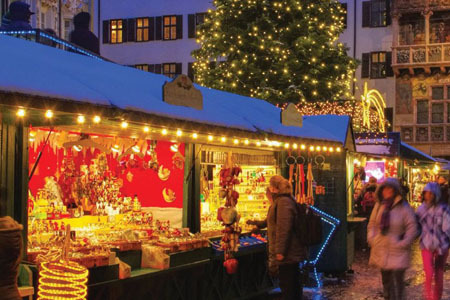 Visits to four Alpine cities including sights and Christmas markets. Favorite time was horse drawn sled ride in the Alps while it snowed. Great start to the Christmas season! The hotel couldn't have been better -- perfectly located, modern, well maintained and had the most comfortable bed I have ever found in a hotel. The fact that we stayed there all five nights was another plus. Our guide was personable and knowledgeable. The day trips gave us a taste of each area we visited. I would take this tour again but use my free time differently. Having always wanted to tour the Christmas markets of Germany this tour gave me a taste of several in Germany and Austria. I would like to take the tour again but would use my free time differently. See previous summary.it was just sent about one minute ago. our packet info went to a senior citizen center in new Hampshire, and we live in west Virginia. "Rena," from that agency called our home and said "to stop by and poick it up." I called AAA and collete and it tood two weeks to straighten it out. our tour guide was excellent, and the driver. our hotel was perfect--right across from one of the markets. We're sorry that your packet was sent to the wrong address. We have informed our team to make sure it is resolved. Please feel free to let us know if this issue continues. Thanks for being an amazing guest, we appreciate your business and hope to travel with you again soon. 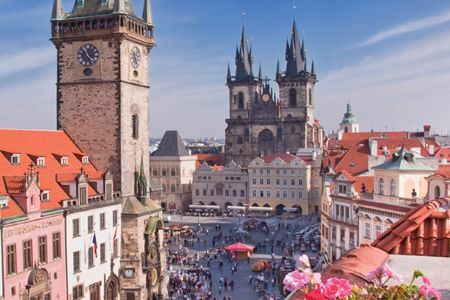 Bask in the splendour and romance of three of Europe's regal capital cities Vienna, Prague and Budapest with our tour. 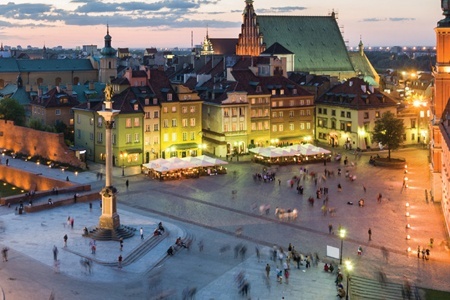 Due to annual fluctuations on the opening dates of some Christmas Markets and tour scheduling, if one is unavailable on a specific departure, other regional Christmas Markets may be substituted. Single accommodations are limited and are available on a first come, first served basis. Triple accommodations are not available. Our air passengers will arrive into and depart from Munich, Germany, airport. All transfers will depart from/return to this airport. *Due to unforeseen schedule changes, witnessing the performance of the Glockenspiel might not be possible. Approximate travel time between Innsbruck and Munich is 2 hours. Due to tour scheduling, flights must arrive prior to 3:30 PM.